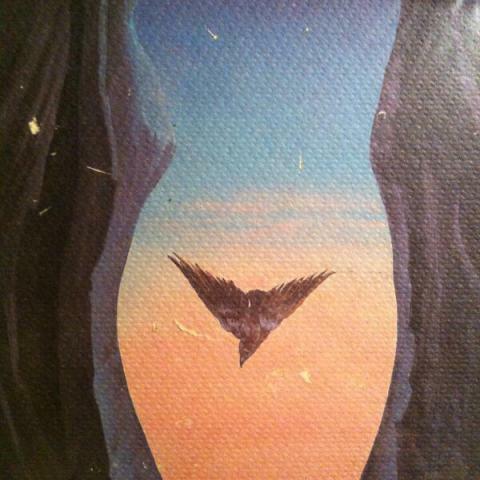 Nostalgia for a lost nation in diasporic Iranian memoir. In this first decade and a half of the twenty-first century, diasporic Iranians, many of them women, are deploying the autobiographical form to narrate their personal experiences of life in post-revolutionary Iran and in the diaspora. The explosion of life writing in North America since the 1990s, and the growing market demand for such autobiographical narratives, has been referred to as the “memoir boom.” At the forefront of what we can now call the diasporic Iranian women’s memoir boom are two texts, both published in 1999: Tara Bahrampour’s To See and See Again: A Life in Iran and America and Gelareh Asayesh’s Saffron Sky: A Life between Iran and America. These autobiographies are the first among a now substantial corpus of texts by a generation of diasporic Iranian women, many of whom experienced the 1979 Iranian revolution in childhood and then immigrated to the West with their families. The predominant sentiment in these texts, nostalgia for a lost childhood, is thus deeply bound up with nostalgia for a lost (pre-revolutionary) nation. These authors pen nostalgic reflections of their past inflected with a keen longing for “home.” For diasporic writers, unlike travel writers, it is the return that is the fantasy, not the departure; for them, there is little romance in being elsewhere. These life narratives emphasize the importance of memory, and of a careful re-membering (in the dual sense of recall and piecing together) of personal stories of families and friends that have remained half told, lost in the frenzied shuffle between nations, between an Iran of their past, and a North America, or Europe, of their present and future. Nostalgia has tended historically to be regarded in negative terms: initially viewed as a curable medical ailment, it was later considered to be a form of psychological trauma. Once it was no longer diagnosed as a medical—and therefore treatable—condition, nostalgia was recast, in cultural and literary contexts, as an emotional wound. In popular discourse, nostalgia is often seen as a sentimental indulgence which market-savvy entrepreneurs have easily attached to consumer goods. These negative connotations have contributed to a view of nostalgia as implying movement backward, but as scholars of nostalgia have argued, nostalgia is as much about projecting a future past as it is about claiming an irretrievable past. In other words, nostalgic remembrances of pre-revolutionary Iran do not simply amount to mourning a past life, they are also an expression of mourning for one’s future self that might have been. In the nostalgic desire to reclaim an irretrievable place (Iran) and irretrievable time (pre-1979) lies an articulated grief for a future that could have been. At the level of the individual nostalgic, the desire for another place and another time involves a mourning for that (imagined) future self—who the diasporic subject imagines herself to have become, had a particular event (in this case, the revolution) not taken place. Diasporic Iranian memoirs are particularly interesting in their mediation of the diasporic experience through the authors' memories of pre-revolutionary Iran, thus placing the concepts of memory and nostalgia, and questions of testimony and witness, at the heart of these narratives. These memoirs are deeply emotional, and deeply affecting in the stories that they tell. What, then, is at stake in the circulation of such affects as nostalgia, empathy, and compassion? The prison memoir is part of a growing wave of testimonial literatures that foreground suffering, and impel the reader to take up a compassionate stance. The emotive power of these prison narratives is particularly significant for generating ethical and moral responses to the suffering body, and asks us to consider how suffering is expressed in narrative. What do narratives of suffering do? How can we, as privileged readers, bear witness to the traumatic experiences endured by political prisoners in a meaningful way, in a way that goes beyond merely expressing sympathy in the face of another’s suffering? How can we, as readers located in the West, read and engage with narratives of violence, torture, and imprisonment particularly when these narratives depict experiences in cultural and national locations—with which the West has a compromised, and often vexed, relationship? In considering this relatively recent proliferation of diasporic Iranian women’s testimonial narratives we need to try and make sense of how certain narratives are received in the West, particularly since these texts do not have a readership in Iran: how do some narratives become more popular or more palatable to a Western or diasporic audience than others? How can we understand the far-reaching compassionate responses elicited by some popular prison narratives such as, for example, Marina Nemat’s Prisoner of Tehran (2007)? How can we understand the expression of compassion in relation to Nemat’s text against a marked lack of affective response to those unrepresentable subjects of trauma whose narrative reach does not extend as far, whose sufferings do not register as deeply upon readers in the West? These testimonial narratives of suffering and pain impel us to bear witness and to feel the suffering of those represented in these texts, and also presumably the suffering of those lives that are not represented. How do we engage with testimonial literatures, with stories of suffering, without reproducing inequities between compassionate readers and suffering subjects? The prison memoir as testimonial literature makes claims on the reader to respond to narratives of suffering in politically responsible ways. Prison narratives such as Shahla Talebi’s Ghosts of Revolution: Rekindled Memories of Imprisonment in Iran (2011), extend a significant challenge to readers. They require us to self-reflect in ways that can be deeply uncomfortable, asking us to imagine not only others’ suffering when they are at a safe distance, but also to reflect on the disturbing affinities between the cruelties to which human beings subject each other in their daily lives and the torture and betrayal of cellmates in a harrowing context such as in prison. Talebi’s memoir, in particular, compels us to contemplate and acknowledge, in profoundly unsettling ways, the limits of our own humanity. A powerful genre with a far reach, the diasporic Iranian memoir can work to generate feelings of empathy for the suffering of others. As a mode of expression that humanizes an other, diasporic Iranian prison memoirs afford us an understanding of the memoir genre both as a testimonio that bears witness against injustice, and as a humanitarian narrative that asks us to rethink our capacity for empathy and compassion. 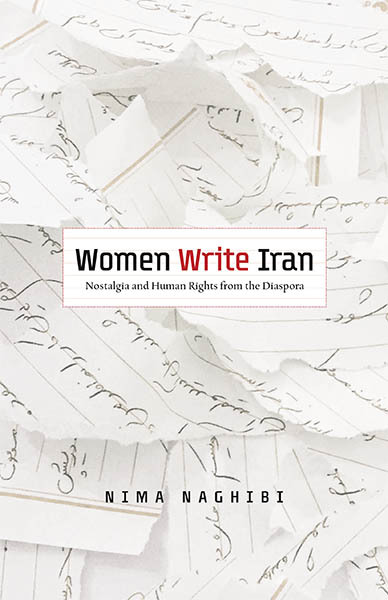 Nima Naghibi is author of Women Write Iran: Nostalgia and Human Rights from the Diaspora (Minnesota 2016) and Rethinking Global Sisterhood: Western Feminism and Iran (Minnesota 2007). She is associate professor of English at Ryerson University in Toronto. Women Write Iran is a Great Summer Read recommendation from Ms. Magazine. 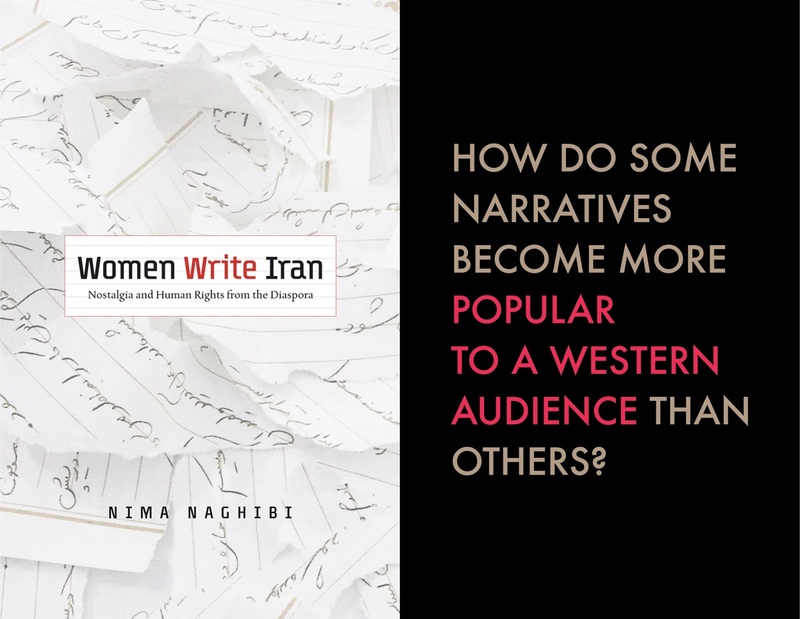 "Nima Naghibi’s familiarity and eloquence on the subject of Iranian women’s textual cultures is seen throughout Women Write Iran, opening up a clear discussion of human rights and humanitarianism." "Long awaited and truly welcomed, Women Write Iran offers an erudite analysis of some of the auto/biographical works produced by Iranian women in diaspora in post-revolutionary Iran. 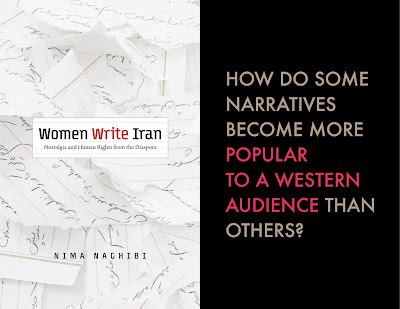 Nima Naghibi takes her reader on a journey into these works, showing their complexity not only in their own right, but in relation to their reception, demanding a more nuanced and historically situated approach from readers." Image source: An 1899 edition of Their Wedding Journey by William Dean Howells. Another contemporary custom in American restaurants that would have been shunned in the early nineteenth century is the practice of referring to members of the wait staff as servers. The title waiter, which seems to have recently fallen out of favor because it is not gender neutral, originated from an American desire to separate and elevate the work from being a servant. For example, in Royall Tyler’s 1787 play The Contrast, Colonel Manley’s servant prefers to be called a waiter because, as he explains, “no man shall master me!” Server, in contrast to waiter, sounds, well, rather servile. If nineteenth-century restaurant waiters were a bit sensitive it is because they had good reason to be. 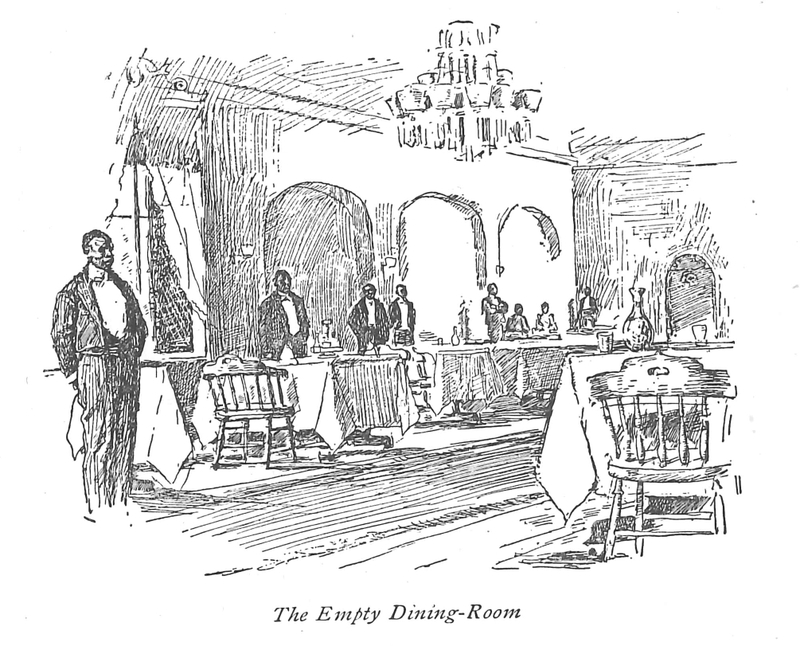 Waitering was an occupation fraught with status anxiety in the young republican country, where citizenship was closely tied to economic independence. Native-born white men avoided working as a waiter if they could and these jobs were instead largely filled by men who, thanks to racial and ethnic discrimination, confronted more limited occupational options: African Americans and Irish immigrants. (There were no waitresses in early American restaurants; waiters were men.) Proprietors and managers, however—especially of luxury restaurants—recognized how important securing a skilled wait staff was to the success of their establishment. Accordingly, waiters’ wages were among the highest paid to unskilled workers, especially blacks and Irishmen, and the job was thus highly sought after among these populations. 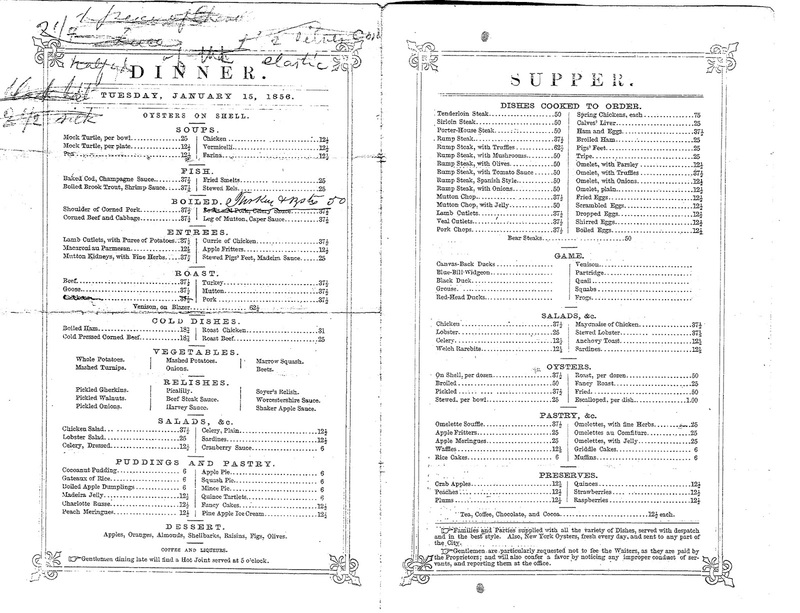 A Parker House bill of fare from January 15, 1856. Note the manager's request for patrons not to "fee" the waiters (bottom left). Image courtesy: American Antiquarian Society. 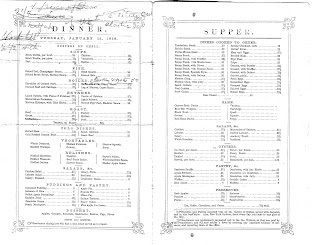 In the decades after the Civil War, as Americans became more comfortable with what the sociologist Thorstein Veblen termed conspicuous consumption, tipping became in-vogue in restaurants that catered to the wealthy as a way for patrons to demonstrate their conspicuous consumption of waiters’ services and signal enhanced social status. The custom gradually caught on in more plebian restaurants. A tip is now anticipated in every kind of American dining venue except fast-food chains. In fact, thanks to the custom of tipping, the restaurant industry is not required to pay its employees the minimum wage. Servers in some states make as little $2.13 per hour (the federal minimum tipped wage since 1991), with tips being expected to augment this income to at least the standard federal minimum wage of $7.25. But for the last several years, a backlash against tipping has begun to resurface. The advocacy group Restaurant Opportunities Center United (ROC), founded in 2001, for example, has launched a campaign called “One Fair Wage” that aims to eliminate the lower minimum wage for tipped workers and abolish tipping altogether. One Fair Wage has been embraced in eight states and recently won the support of presidential candidate Hillary Clinton and the Democratic party’s platform. Why is tipping once again under scrutiny? On its website, the One Fair Wage campaign points to a number of different reasons to eradicate what nineteenth-century Americans called the “tipping evil.” For example, although restaurant employers are supposed to “top off” a server’s pay when tips don’t add up to at least the minimum wage, many employers neglect to do so and rarely face penalties thanks to lax enforcement of the law. Partly as a result of this, tipped workers are three times as likely to face poverty as the rest of the workforce. This occupational hazard particularly affects women since, according to the National Women's Law Center, today, 70 percent of restaurant servers are female. The shift to female-dominated wait staffs in American restaurants is itself related to the custom of tipping that became popular beginning in the late nineteenth century; as waiting became more associated with servility, women moved into the position in greater numbers. According to ROC, female servers’ dependence on tips forces them to daily confront sexual harassment from their customers as an occupational hazard. 90 percent of female restaurant workers living off tips report being sexually harassed at work. The Equal Employment Opportunity Commission (EEOC) finds that the restaurant industry is the largest source of sexual harassment charges filed by women, with a rate five times higher than in any other industry. Opponents of tipping today would likely agree with Americans of the early Republic that the practice contributes to economic inequalities, creates a society divided between the haves and have-nots, and leads to a culture that denigrates labor. Perhaps we should take a cue from the restaurant trends of the past by once again eliminating the “tipping evil” and instead require the restaurant industry to pay its workers at least the minimum wage. 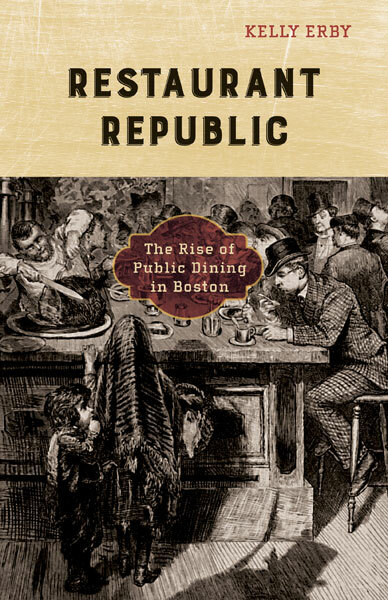 Kelly Erby is author of Restaurant Republic: The Rise of Public Dining in Boston. She is assistant professor of history at Washburn University. "Restaurant Republic acknowledges the struggles involved in the development of a modern American consumer society and demonstrates that dining can make complex, and even contradictory, impulses rational." Jane Graverol's Le Cortège d'Orpheé. 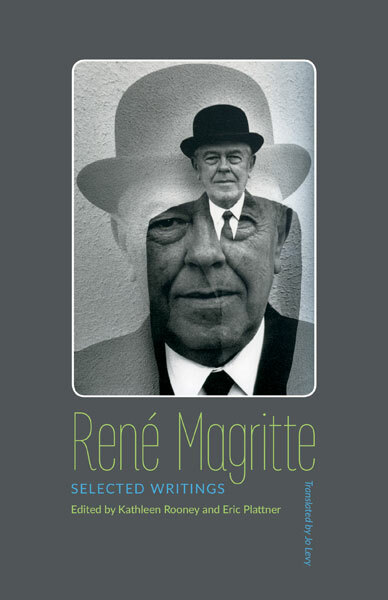 Though the artist René Magritte (1898–1967) wrote extensively throughout his life and career—from aspirations of being a detective novelist to crafting genre-jumping essays, prose poems, lectures, reviews, and more—it’s hard to say why exactly it has taken so long for Magritte’s writings to become available in English. His Ecrits Complets (Complete Writings) were published in French by Flammarion in 1979, weighing in at a hefty 761 pages. 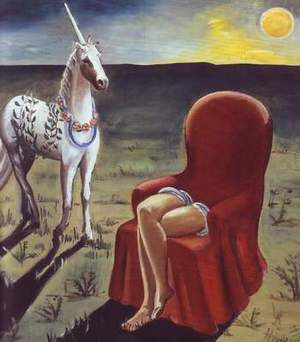 An English edition of his Selected Writings, translated by Jo Levy and edited by John Calder, was originally commissioned in 1987 by Calder Publications, but the book was never released. The translation languished in typewritten manuscript in the Calder archives in Caen, France. Almost thirty years later, edited by Eric Plattner and myself, here it is. Thanks to our having seen the Magritte exhibit The Mystery of the Ordinary: 1926–1938 at the Art Institute of Chicago in the summer of 2014, I became intrigued to learn more about Magritte’s output as a writer, because many of the museum wall texts consisted of quoted material from the artist’s writing. 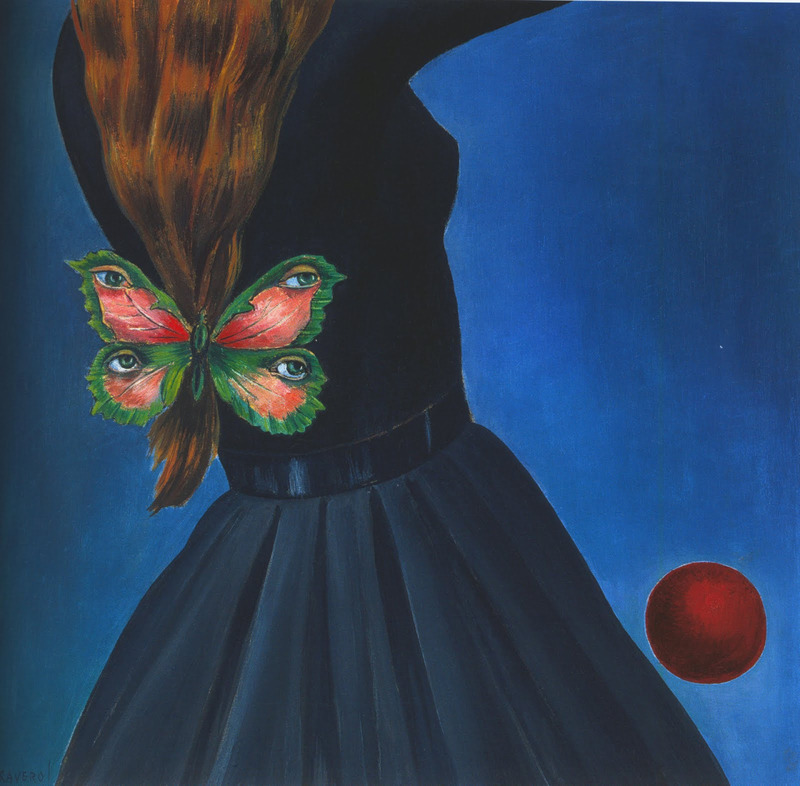 One of the most fascinating aspects of Magritte’s Selected Writings is that it offers fans a chance to see him acting as a tastemaker and critic, as well as a supporter of his fellow artists. One of his most succinct and heartfelt endorsements is the one below of the Belgian surrealist painter Jane Graverol (1905–1984), whom he met in 1949 and whose eerie and imaginative images he admired. This piece is from a 1953 issue of the little magazine Temps mêlés (Mixed Time) dedicated to her work that also contained contributions from other members of their Brussels circle of artists and writers, including Paul Colinet, Marcel Lecomte, Marcel Mariën (with whom Graverol lived for 10 years), Louis Scutenaire, and Geert Van Bruaene. Everything that Madame Jane Graverol wants to paint seems to me to be charged with the symbolic resonance that comes from a variety of romantic and dramatic feelings. Instead of “using art as an escape”, it is indeed possible, from the moment one decides to paint, not to give up one’s usual preoccupations and to create images of conflicting emotions which will be of real interest to someone interested in human documents, who can then, in his turn, arouse the curiosity of a new observer and so on, ad infinitum. Jane Graverol’s paintings are somewhere in this world of feeling where connections between things are contained within precise limits. But it turns out that the power of the unexpected makes it harder to grasp their meaning. Jane Graverol does not wish to counter the power of the unexpected, consequently she participates in the only necessary spiritual activity. Kathleen Rooney is coeditor of René Magritte: Selected Writings. Rooney is senior lecturer of English and creative writing at DePaul University, and author of eight books of fiction, nonfiction, poetry, and criticism.